It has been almost a month since our last post. We are happy to share that over the past few weeks things have been relatively stable for Kevin. 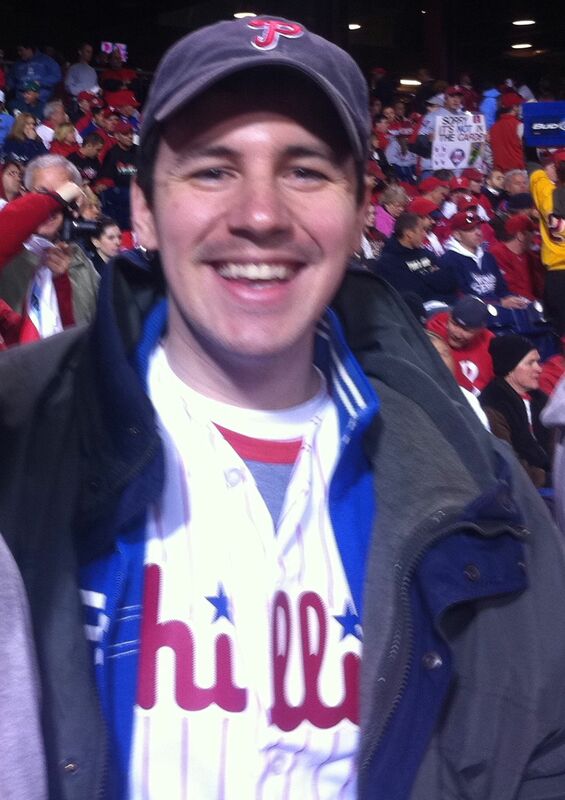 With the warmer weather it has been much easier to get Kevin to a few Phillies games this season. 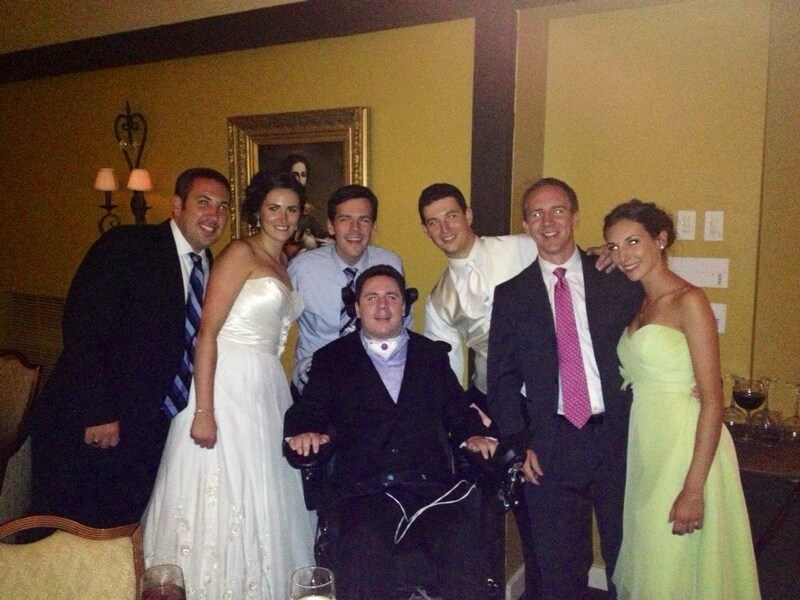 Also Kevin was able to attend our cousin Lauren’s wedding. Here is a photo of all of the cousins on our mom’s side of the family, including the newest addition Michael Walsh. Welcome to the family! It hard to believe that we have been posting on here for 21 months. In that time we have had 188,873 hits(just over 11,000 to reach 200,000 hits!) and have 489 following Kevin’s story through our email updates. Thank you again to each and every one of you who follows Kevin’s progress. 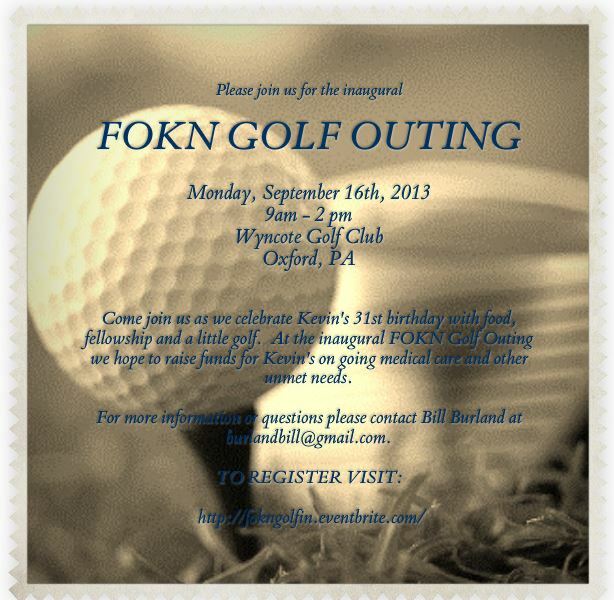 Just a reminder that the golf outing is just about a month away. We have a great day of golfing and fun in support of Kevin. If you have not signed up please do so right away! Anyone interested in sponsoring a hole please be sure to do so before August 19th so that we have time to have signs made. Anyone interested in doing so can contact Bill Burland at burlandbill@gmail.com. Thanks again! And remember Kevin loves visitors! Please come see his new space!